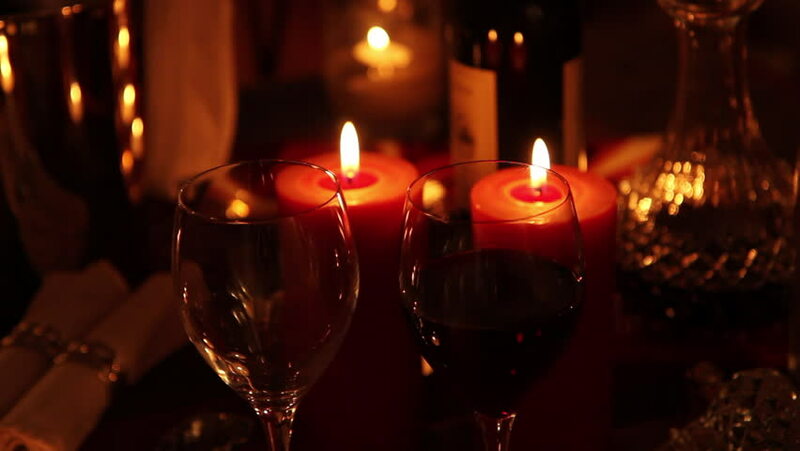 Red wine poured into a glass at a romantically set dinner table. The two diners clink glasses and take a sip before returning the glasses to the table. hd00:23HD1080i Lots of church candles in Catholic Church. Christmas Time.